Sophisticated and modern, your Resort Room is 32sq. metres of luxury. Wake each morning to serene views across the resort’s lagoon from your large private balcony with your Nespresso coffee in hand. Make use of the state-of-the-art technology such as the Apple iPad control centre, 55” Smart TV (with free-of-charge movies) and the Google Chromecast. Adjust the room’s environment as you please with air-conditioning and blackout blinds, and indulge in your rainforest shower or deep-soaking tub (in selected rooms). Complimentary room upgrade is included from an Urban Room. Avoid the stress of arranging your own travel and let us do it for you! With return flights planned for you and 20kg of checked luggage, when you travel with My QLD, the only thing you need to do is grab a few sets of clothes and enjoy your holiday! Spend more time enjoying the beauty of Queensland and less worrying about organising a taxi at the airport! When selecting this My QLD package, you will avoid that stress by being able to get to and from your accommodation with return coach airport transfers! Enjoy a free buffet breakfast each morning at the Paper Crane restaurant! Start your day with a delicious meal that will provide you with the fuel you need for a day full of activities and relaxing. One child 12 years and younger can stay and eat breakfast for free when dining with a paying adult! Wine, dine & spa to your hearts content! When you check in, the $250 credit is applied to your room account which can be used towards food & beverages at any of the resorts restaurants and bars, as well as on spa treatments! Experience everything tropical northern Queensland has to offer with this Experience Co Adventure Pass, including 5 incredible tours! Explore the natural wonder of Australia’s Great Barrier Reef with 3 tours! First you will have the choice of a half or full day Big Cat Green Island Reef Cruises~ followed by the Full Day Marine World Outer Barrier Reef~* and the Dreamtime Reef Dive & Snorkel~~. Finish off your trip with 2 tours to get your adrenaline pumping, with one half day Raging Thunder Baron River Rafting** (grade 2-3) and one half day Raging Thunder Fitroy Island*** fast catamaran cruise from Cairns along the scenic coastline. Check in and be treated to a complimentary bottle of wine & fruit platter when you arrive! Head up to your room, pop the cork and enjoy a refreshing glass or two, along with a fruit platter! Driving or hiring a car for your holiday? Don’t worry about finding & paying for a parking space at the end of the day – just drive to the front of the hotel and let the valet parking team take care of it for you! Stay connected with complimentary Wi-Fi access! It’s never been easier to keep in touch with loved ones back home, as well upload all your favourite holiday snaps to your social profiles! You will also stay entertained with complimentary access to movies! Stay a little longer! 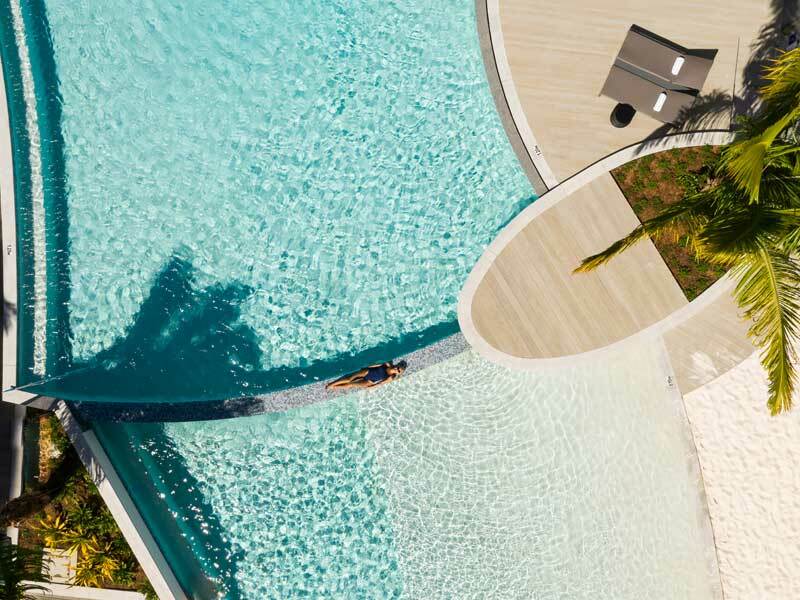 Enjoy a late check-out of 12pm, make the most of one last lazy breakfast, take a dip in the pool and pack all of your things, completely stress-free! Enjoy 32sq. metres of bliss in your Urban Room. With your choice of King or Twin bedding, this room accommodates 3 guests seeking relaxation and ease. 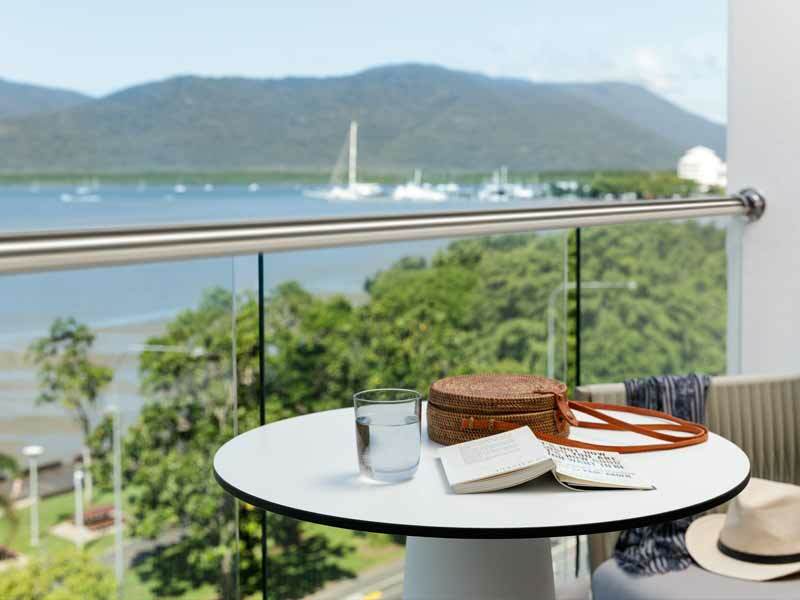 Become captivated by views of Cairns’ awesome skyline and sip complimentary coffee from the comfort of your private balcony. Stay connected with high-speed WiFi, recline in front of your flat-screen TV featuring movies free-of-charge, and enjoy advanced technology systems including the Apple iPad control centre and Staycast by Google Chrome. Make use of the air-conditioning, blackout blinds, rainforest shower, car parking, minibar, room service, mini fridge and more! Sophisticated and modern, your Resort Room is 32sq. metres of luxury. Wake each morning to serene views across the resort’s lagoon from your large private balcony with your Nespresso coffee in hand. What could be better? Sleep well in your choice of King or Twin bedding, stay connected with high-speed WiFi, make use of the state-of-the-art technology such as the Apple iPad control centre, 55” Smart TV (with free-of-charge movies) and the Google Chromecast. 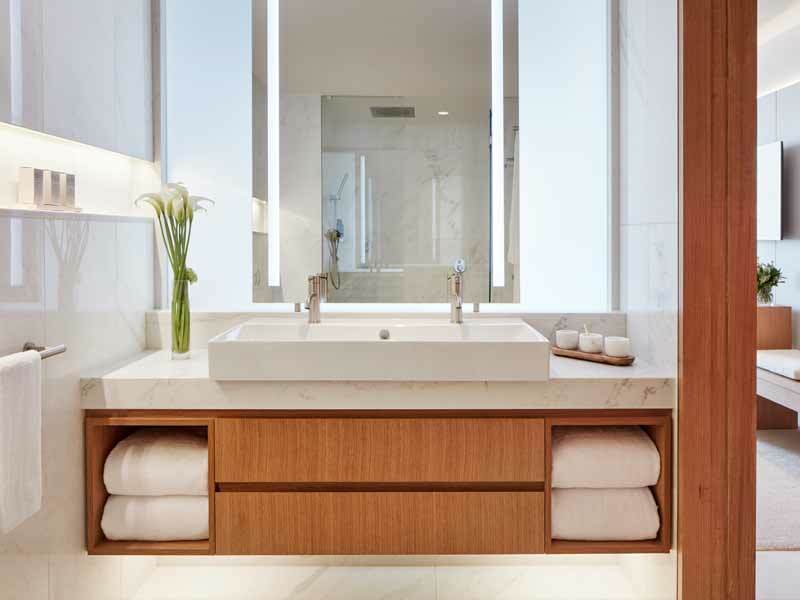 Adjust the room’s environment as you please with air-conditioning and blackout blinds, bathe like royalty in your rainforest shower or deep-soaking tub (in selected rooms) and delight in the room service, minibar and mini fridge. 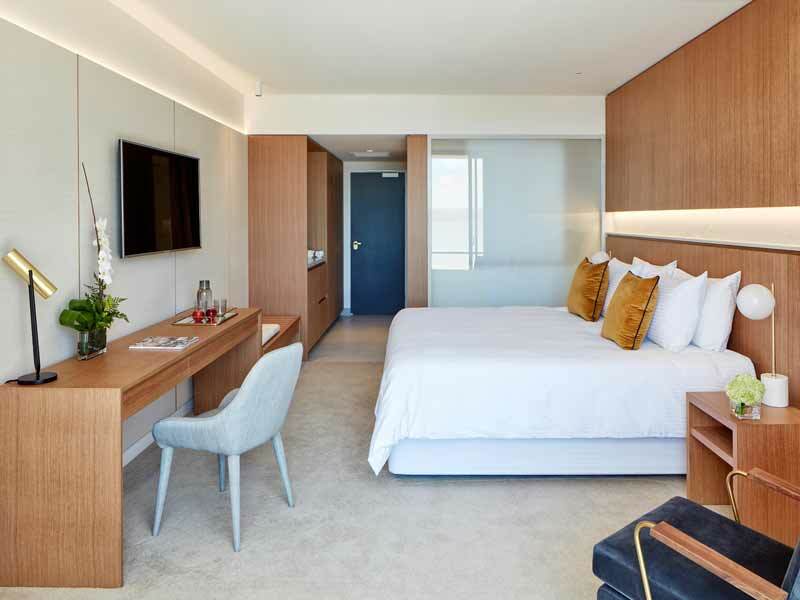 Book the Sea Room for a trendy and advanced space overlooking the calm, uninterrupted Coral Sea below. Sleep in either King or Twin bedding, laze on your private balcony, make use of the fast WiFi, Apple iPad control centre, 55” Smart TV, complimentary movies and Google Chromecast. Enjoy having the room as you like it with air-conditioning and blackout blinds and complete the authentic tropical lifestyle with a rainforest shower and grand bathtub (limited to availability). At 32sq. metres, The Sea Room comes with carparking, mini bar, Nespresso coffee machine, room service, bathroom amenities and a host of other conveniences. 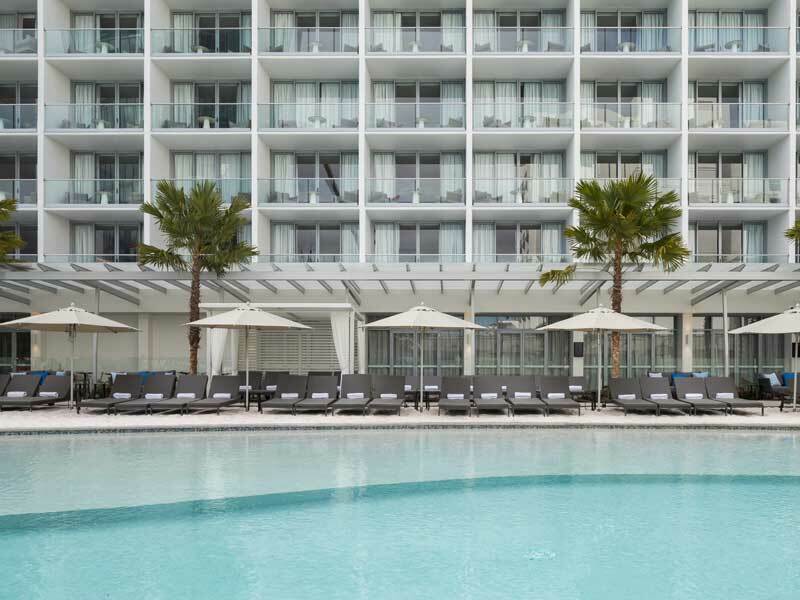 Panoramic Sea Room – DOUBLE UPGRADE from only $150 per person! Picture floor-to-ceiling windows, chic décor and unparalleled ocean views…the Panoramic Sea Room has all this and more. Recline on your plush King bed and command the room with your Apple iPad control panel. 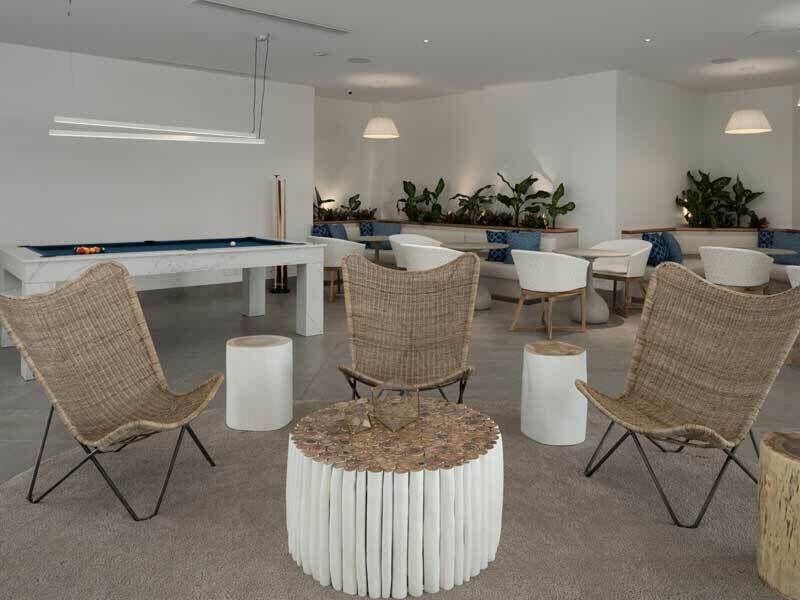 Whether you want to surf the web with high-quality WiFi, video stream with Staycast by Google Chromecast, watch complimentary movies on your 55” Smart TV or gaze out at your captivating view with a Nespresso coffee in hand, the Panoramic Sea Room caters to all. Spread across 32-47sq. metres, this haven accommodates 2 guests and features luxuries such as air-conditioning, blackout curtains, a rainforest shower, minibar, room service, car parking and more! Charming from floor to ceiling, our Family Room features 2 interconnecting bedrooms, large twin terraces and 2 grand bathrooms with epic rainforest showers. Choose between 2 King beds or 4 King Singles to suit your needs and spread out across a generous 64sq. metres! 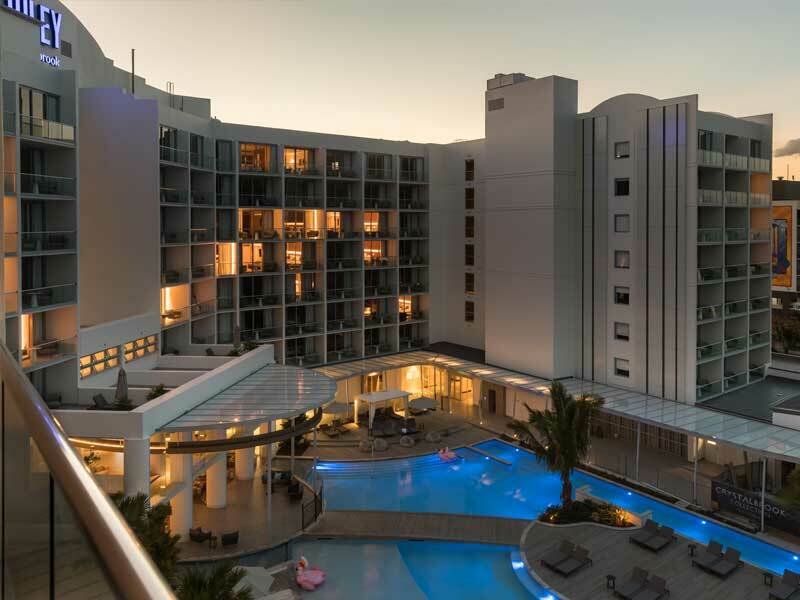 Relish first-rate technology such as an Apple iPad control centre, Staycast by Google Chromecast, 2 Smart TVs (with complimentary movies) and high-speed WiFi. Enjoy air-conditioning, blackout blinds, a Nespresso machine, minibar, room service, mini fridge and car parking when you stay in the Family Room. Perhaps the most impressive feature of this room is the view (or views!) – gaze across the city, ocean and pool from Crystalbrook Riley’s Family Room! 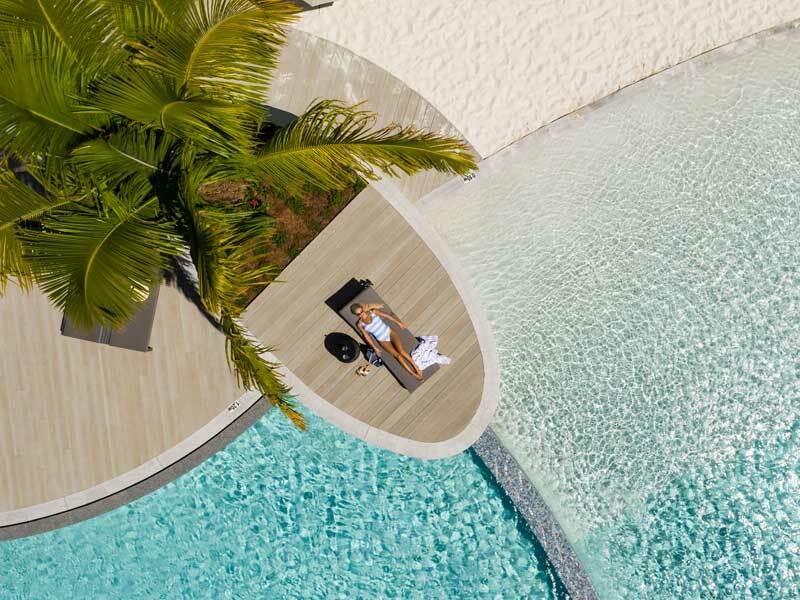 Check-in to the elegant Sea Suite for 69sq. metres of bliss. 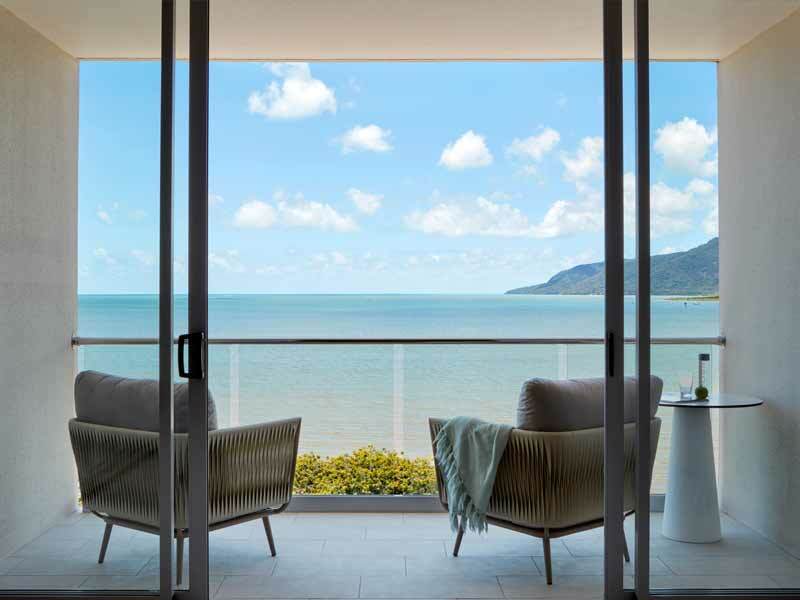 Become acquainted with imposing vistas over the Coral Sea from your expansive balcony, sprawl out in the separate lounge areas before the 55” Smart TVs and relish the advanced Apple control centre and Google Chromecast. The Sea Suite oozes with thoughtful extras such as blackout blinds, air-conditioning, complimentary movies, Nespresso machine, high-speed WiFi and car parking. Want for nothing more with room service, a mini-fridge, minibar and a myriad of other amenities to boost your stay even further. 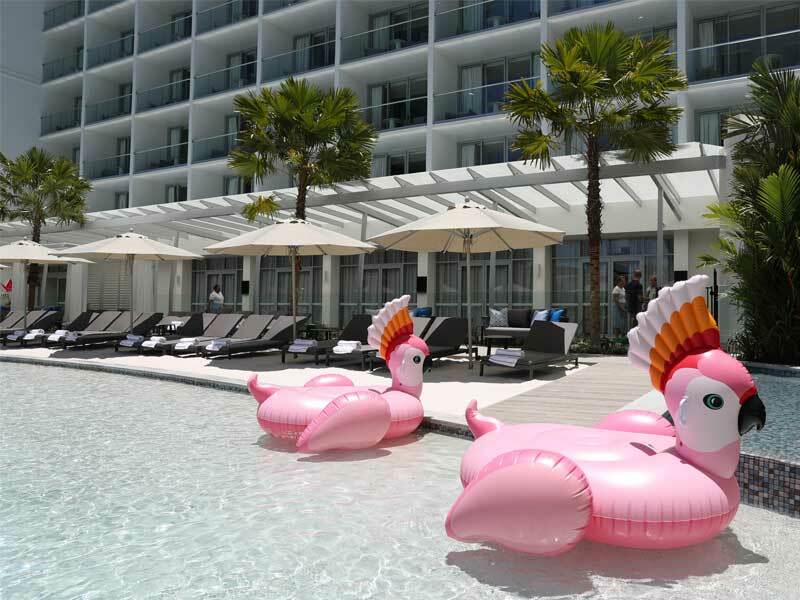 Riley, A Crystalbrook Collection Resort impresses all. 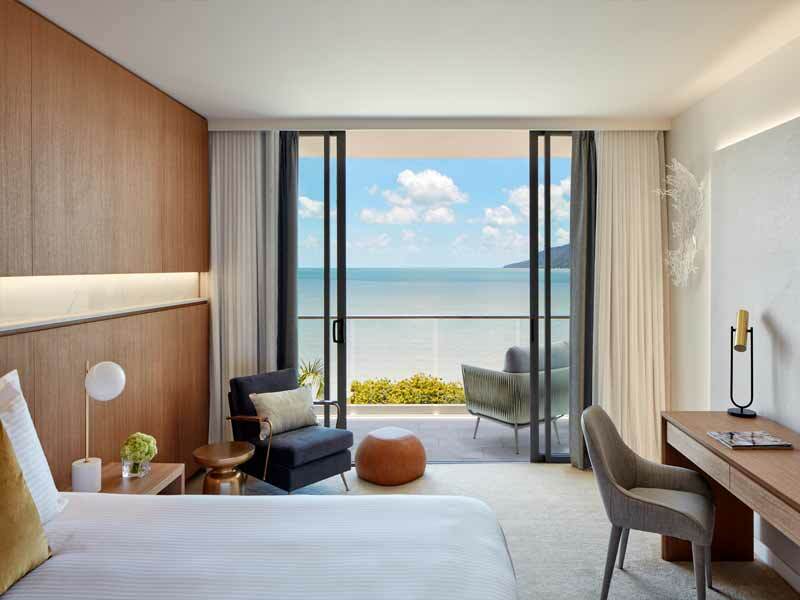 With signature dining, an epic rooftop bar, unbeatable city and ocean vistas and world-class service, this resort is the ideal getaway for families, friends or couples longing for Tropical North Queensland luxury. Unwind at the Eleme Spa, indulge in comfort, chic decor and state-of-the-art technologies from your room or get active at the 24-hour fitness centre. Corporate travellers will love the sophisticated event facilities and leisure guests will relish the 1,000sq. metre lagoon and manmade beach. 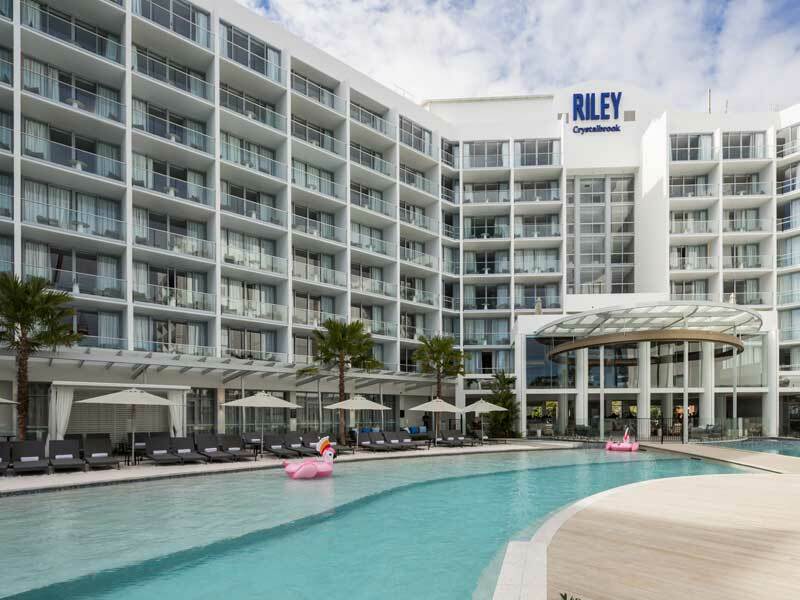 Ideally located on the edge of famed Coral Sea and the Esplanade Boardwalk, Riley, A Crystalbrook Collection Resort is the dream! 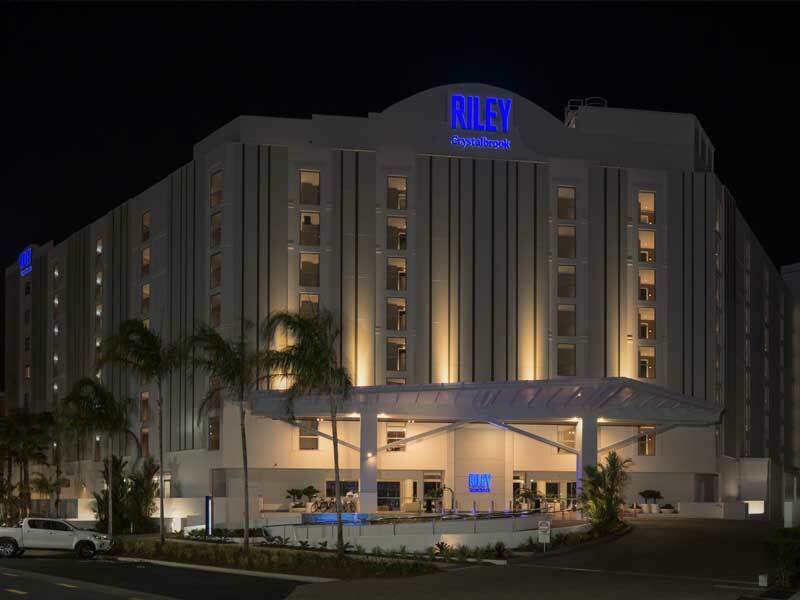 Read more about Riley, A Crystalbrook Collection Resort here! ~Wine, Dine & Spa Credit: Wine, Dine & Spa Credit per room per booking to use at the spa, resort’s restaurants, bars, car parking and room service.